During the last ten months, there has been a burst of excitement about the role that blockchain technology could play in the long-term transformation of healthcare worldwide. Although many political parties are still debating about what is to be done to fix the health care system in their respective countries, few would dispute that the sector is in bad shape, generally speaking. Only 53 out of 195 countries in the world have good health care index score, meaning that there is a vast space for improvements and innovation. On the other hand, it is no secret that numerous parts of the healthcare industry still use technology and practices that could be described, at best, as outdated. Many agree with reports such as the one published by Imprivata that implies that out-of-date computer systems not only cost the healthcare industry money but also risk the well-being and livelihood of patients. Keeping these issues in mind, we see new signs emerging that the healthcare space might be a good fit for implementation of blockchain technology. Having explored the importance of bringing innovation in the health care sector along with the changes that Blockchain could bring, here are a couple of use cases that utilize the potential of this technology and could give the industry more accessibility, security and reliability. Nowadays, patient data is often scattered across various facilities making it hard to reach at crucial times. For this reason, Electronic health records (EHR) are one of the fields in which blockchain is expected to have the most significant immediate impact. With blockchain, health care systems could store medical records safely and confidentially, enabling real-time updates of patient data across multiple departments and locations. However, the majority of systems are not able to share their medical data. This is the reason why creating high integrity health records despite transferring them through diverse systems and domains is one of the biggest challenges of healthcare IT. Since blockchain is immutable, the integrity of the patient’s medical records is ensured, eliminating any doubts about it. This is especially important when it comes to clinical trials, where the integrity of files is pivotal. Storing health care files on blockchain would save time and resources in health facilities which can be dedicated toward patient care and innovation, instead of administration. This technology has already been implemented in Estonia and several other eastern European countries successfully, allowing improvements and upgrade of digital record keeping and access. According to the World Health Organization research from January 2018, approximately 10 percent of drugs circulating in developing countries are either of low quality or counterfeit. Even in the first world nations, it is stated that at least 1 percent of all medicines on the market are fake. Inferior quality or falsified medical products can not only have a destructive impact on patients and their families but likewise are a threat to antimicrobial resistance, adding to the concerning trend of antibiotics losing their power to heal. A blockchain-based system can provide a chain-of-custody record, enabling us to track each step of the medical supply chain. Besides tracking of medicines and equipment, it can ensure authenticity and facilitate needed safety recalls too. 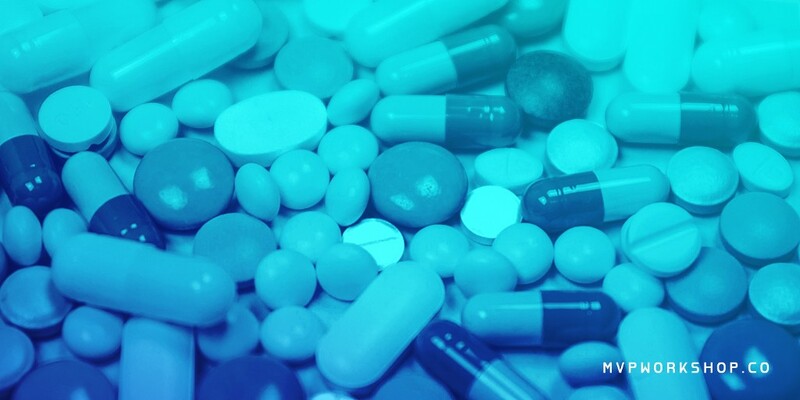 Furthermore, the data transparency feature in a blockchain system can help to locate the entire path of origin, aiding in eradicating the circulation of counterfeit drugs. One of the companies that are working to implement blockchain in supply chains is Chronicled. The San Francisco-based tech startup combines Internet-of-Things systems with Blockchain to improve accountability and traceability of the medical supply chains. Blockchain has tremendous potential to decrease the number of frauds, eliminate chargebacks and produce new ways to manage health insurance and fund medical services. The less money is wasted, and the more profitable businesses become — the better the system will be for patients and taxpayers worldwide. Often the complexity of the health care system turns into financial mismanagement and errors. Millions of dollars are spent each year on understanding which patient received what treatment from which department and by whose authority. Simply put, Blockchain can reduce financial errors to a minimum. Another appealing benefit of Blockchain in medical care is the potential use of cryptocurrencies as payment method instead of fiat money. Nowadays, cash payments for medical practices are still in prevalence. This exposes people to the risk, as 5 to 10 percent of fraud cases come from billing for unperformed services. Through blockchain applications, it is possible to eliminate this risk. Bill processing automation removes the third parties from the payment chain and decreases overall administrative expenses. Furthermore, each cent paid to the health care could be tracked, ensuring that no frauds happen during the process. Finally, the idea of incentivizing the patients is also something to consider. The plan is simple — if a patient follows the prescribed care plan, regularly goes to his/her appointments and stays healthy, it could receive a nice reward. Likewise, patients may be rewarded for contributing their data to clinical research and trials using the same method. Blockchain technology is a unique fit for the health industry. It can increase the efficiency of medical information exchange between multiple parties and provide credibility in the times of unregulated and untrusted data usage and sharing. According to the recent PwC Health Research Institute survey, approximately half of the executives in the healthcare industry said that they plan to develop or adopt blockchain-based solutions in their companies. Still, implementation challenges are present, such as lack of expertise, trust, and governance. This article is part of our blockchain awareness posts where we try to help newcomers and people interested in blockchain use cases enter the space more easily. Follow us and subscribe for more upcoming articles such as this one, and feel free to join the conversation on Twitter and LinkedIn. For free business consultation about how blockchain can impact and change your healthcare business model, or anything else related to the technology — get in touch with us. Healthcare on Blockchain — Exploring the Use Cases was originally published in MVP Workshop on Medium, where people are continuing the conversation by highlighting and responding to this story.